The vocal instrument is an extraordinary, complicated mechanism that lies hidden within us. It is made up of so many different parts and is supported and maintained by so many muscles, joints and cartilages, that its anatomy and function in relation to the act of singing has long been veiled in mystery. This anatomy book has been written specifically for singers and is an attempt to rectify this. Intended as a manual for teachers to work with and share with their students, the book's design, images and imaginative approach will help explain this complex subject in an engaging and interesting way. 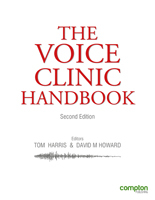 In writing this book, the author's intention was to explore the vocal instrument in a fresh way, with multiple diagrams and views so that the full structure and function of the singing voice can be understood alongside concise textual explanation. The vocal instrument is hard to picture from the surface as most of its workings are concealed within. The authors have therefore worked clearly and accurately to reveal the intricate parts of the mechanism, how they look, how they coordinate, and how they work together to produce sound. We have also worked imaginatively to present this material in different forms. Combining good, precise anatomy with excellent imagery and learning games will help singers picture their instrument in a variety of ways. 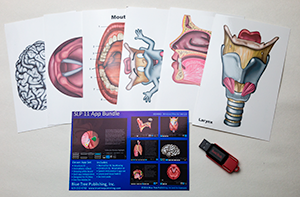 By bringing the wonderful resource of imagination to the learning of anatomy, readers are presented with a visually alluring and mentally stimulating approach to understanding the vocal instrument. 2015. 214 pages. Colour ISBN 978-1-909082-15-3. Paperback. 229x152mm/6x9". Price £25.00. Web Price £20.00.